Chinese authorities have arrested nearly 200 people for alleged online rumor-mongering about China's stock market turmoil and a recent, deadly chemical factory explosion in Tianjin. Among the arrested is Wang Xiaolu, a journalist for financial publication Caijing Magazine, "who has been placed under 'criminal compulsory measures' for suspected violations of colluding with others and fabricating and spreading fake information on securities and futures market," according to Chinese state media. Government officials have also been placed under arrest, including Liu Shufan, an official with the China Securities Regulatory Commission, who has been accused of bribery, fraud and completing under-the-table deals. At least four senior executives from Citic Securities, a top Chinese investment bank, were arrested on insider trading charges. Roughly 165 online accounts have been shut down over related violations, according to state media. Wang, Liu and the Citic executives have confessed to the accusations, according to state media. Suspects are sometimes coerced or forced into signing confessions in China. It's not uncommon for people to be arrested in China for spreading rumors on any platform. In the past, Chinese authorities have punished individuals that allegedly spread false information about a bank's solvency or incited crowds to protest. China's government frequently censors information -- domestic media is heavily state-controlled, and social media sites such as Google and Facebook are blocked online. The country's censorship program, dubbed the "Great Firewall," often blocks foreign news websites as well. 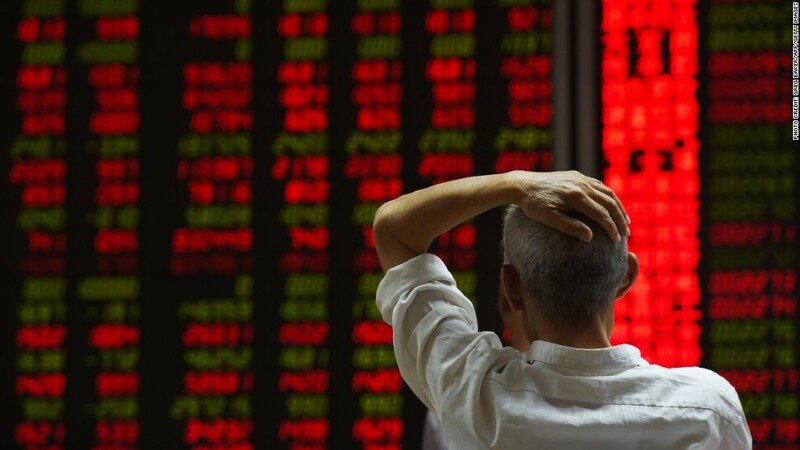 China's stock market has tumbled since a mid-June peak, after rallying to incredible highs earlier in the year. The prospect of slower economic growth and a surprise devaluation of the yuan have added to worries. Earlier this month, a number of deadly explosions occurred at a chemical storage warehouse in Tianjin, a major port city on the northeastern coast of China.